If you're looking for a dentist in Rochester, you've come to the right place. 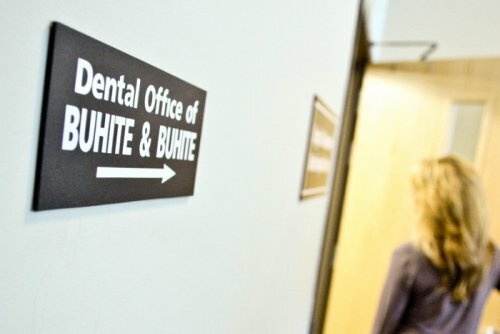 Buhite & Buhite, DDS is an established dental practice with a modern, gentle approach to oral care. Our goal is to provide quality care to every patient who walks through our doors, and we achieve this objective through attentiveness, open communication, and patient education. Our dentists at Buhite & Buhite, DDS have the experience to treat all of your dental care needs. They are able to provide you with the highest quality dental services in Rochester. Dentists at Buhite & Buhite, DDS have over 40 years experience in the area, which makes them a leader in the dental care industry. Our highly skilled staff takes a team approach to providing some of the best dental care in Rochester. The dental hygienists and dental assistants work closely with our dentists to provide you with the best treatment possible. The entire team is focused on maintaining a friendly relaxed dental experience, in an effort to make your dental visit as enjoyable as possible.